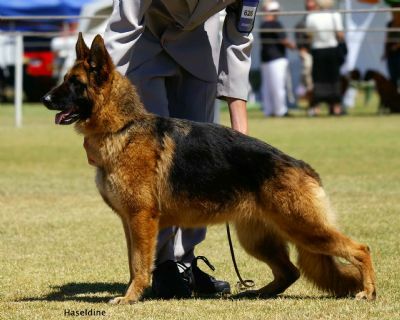 "Moet" is Storm's little sister and she is back in the show ring after mothering duties. 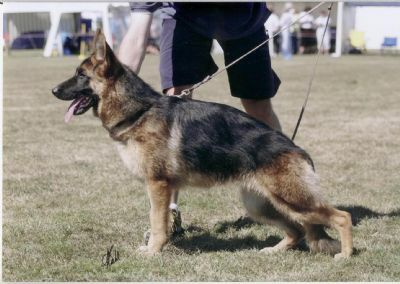 In her first show for nearly 12 months Moet was awarded the title of South Australian State Siegerin 2008. A title that Storm also won a few years ago. In just over one month Moet has brought the total to 25 Champions at Vonpeta by being awarded her title under Mr W Godfrey at Clare! 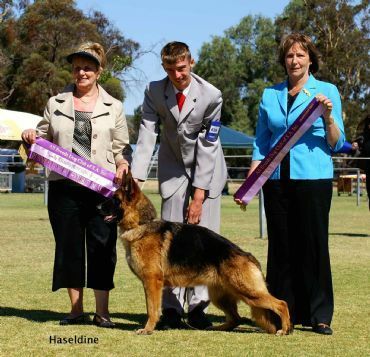 STOP PRESS Moet goes Runner Up in Show All Breeds Dog Club of SA Inc Sunday 30 November 2008!! !